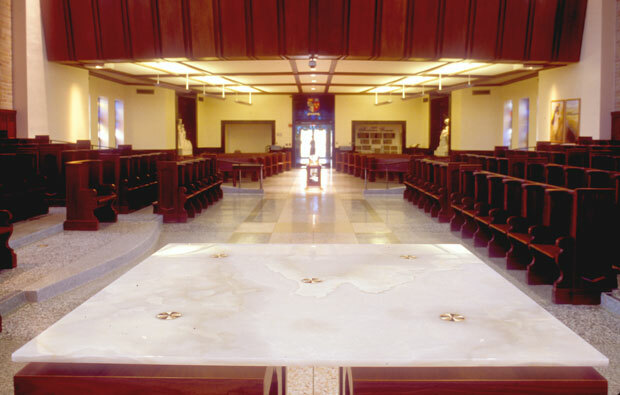 The antiphonal seating of the choir stalls was retained and seating under the choir loft was reoriented to serve as a space to wake religious. 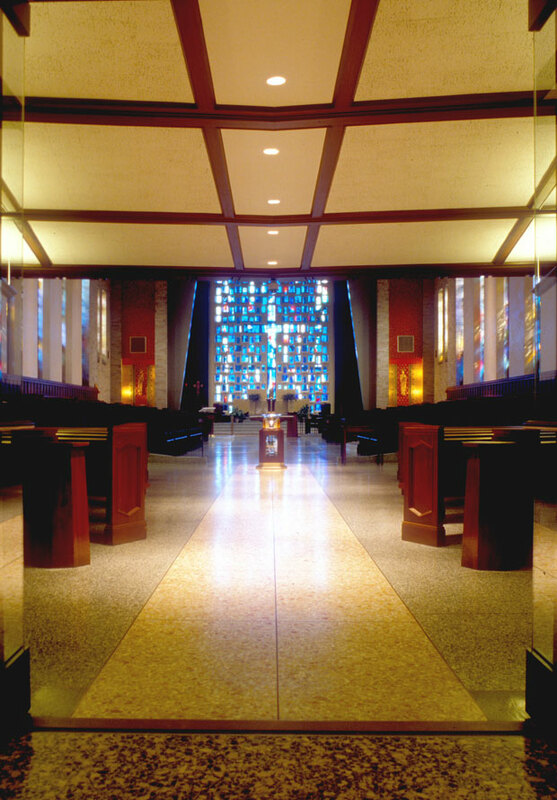 The former presbyterium was converted to a place for personal prayer before the reservation of the Blessed Sacrament. 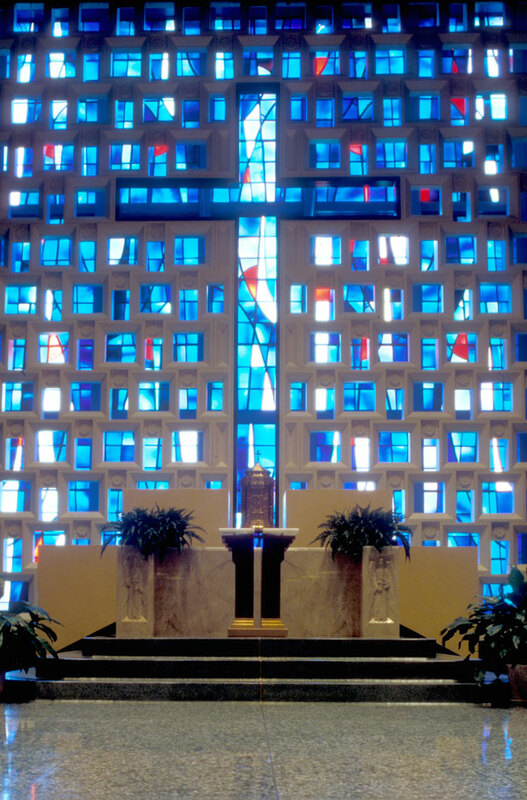 The former altar canopy was removed and the reredos screen was 'pierced' with a cross. The Tridentine altar was reduced and reconfigured into a throne for the tabernacle. A new altar and ambo were fashioned from new materials. 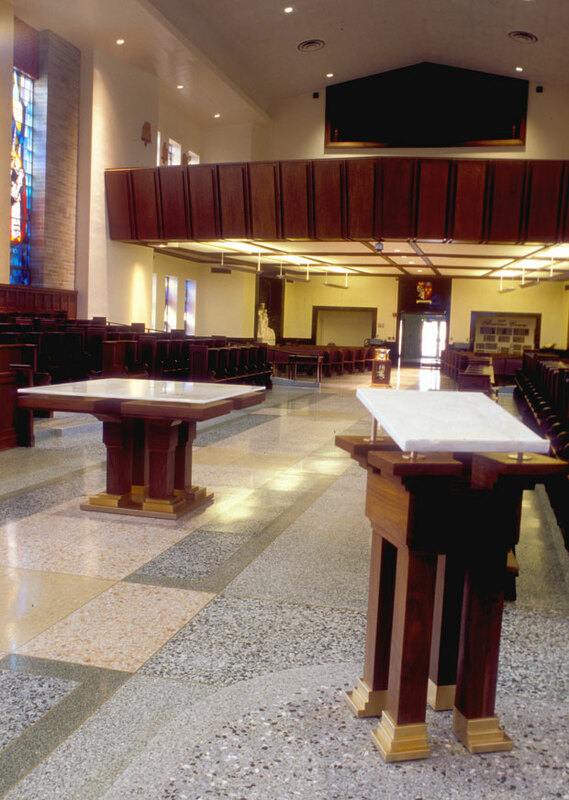 The altar mensa was designed as if to levitate, anticipating the elevation of the Eucharistic elements that rest upon it. Its supporting and grounding elements are indeed the five points of consecration (representing the glorious wounds of the Risen Christ) in the images of cruciforms of St. Dominic. A baptismal shrine holds holy water in a removable vessel used in processions. 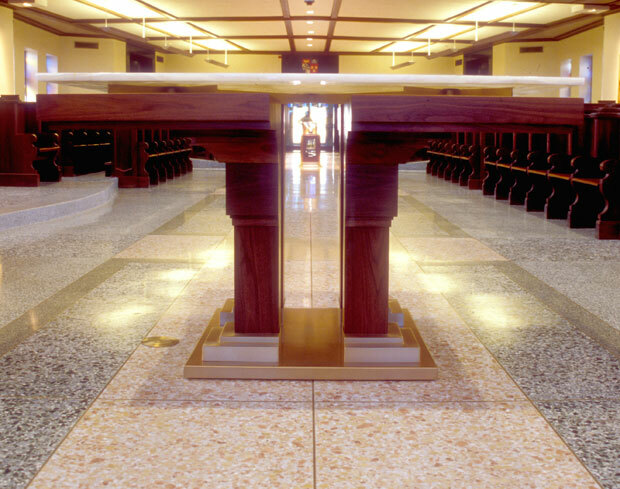 The throne for the water vessel is an ambry to hold the holy oils associated with baptism and the Books of Profession of the Motherhouse, signed by every religious to enter the order, whose vows are rooted in each of their respective baptisms.